"The introduction of HydroChill™ marks the biggest impact on heat reduction in the history of synthetic turf. This will change the way customers experience the use of synthetic turf systems. The new innovative HydroChill™ cooling application, developed to reduce temperatures associated with high performance synthetic sports turfs. 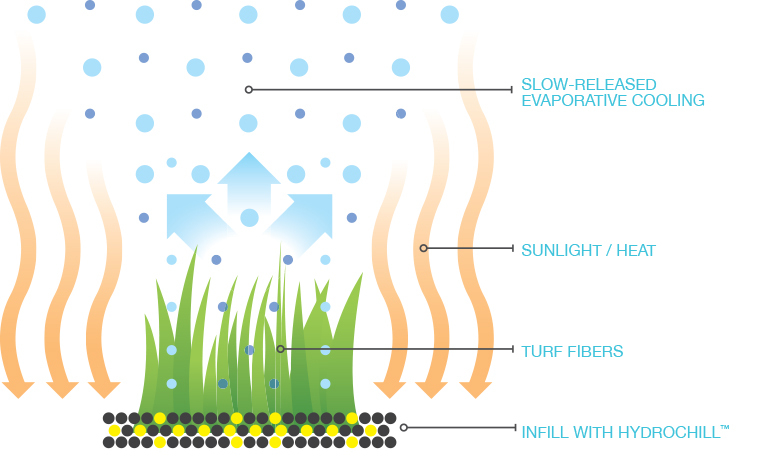 While there are some heat reduction technologies for synthetic turf fields available in the market, most have proven ineffective… until now. Researched, developed and tested over 3 years, both in Southwest Greens R&D laboratories and in real-world field applications. The HydroChill™ technology works on the same principle as human perspiration – the evaporation of moisture from the skin’s surface has a cooling effect. Similarly the synthetic turf surface is heated by the sun and moisture stored in HydroChill™ is released. HydroChill™ can be applied to existing or new Southwest Green turf systems, with one application lasting for several years. Most effective in the summer months, when the sun is positioned at 90 degrees to the ground’s surface. 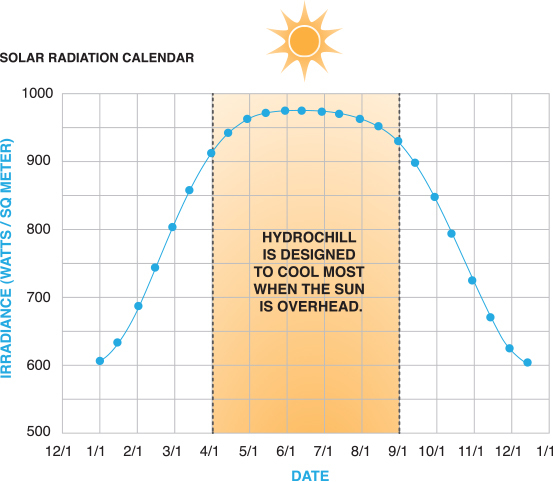 Hydrated by rain fall and irrigation, the HydroChill™ turf can stay cool for several days. Tests prove that HydroChill™ has a positive lowering effect on surface temperature by as much as 50%, compared to standard synthetic turf systems with the Hydrochill™ cooling technology.